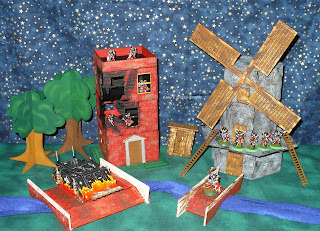 How I started designing war game terrain and now it is an obsession. 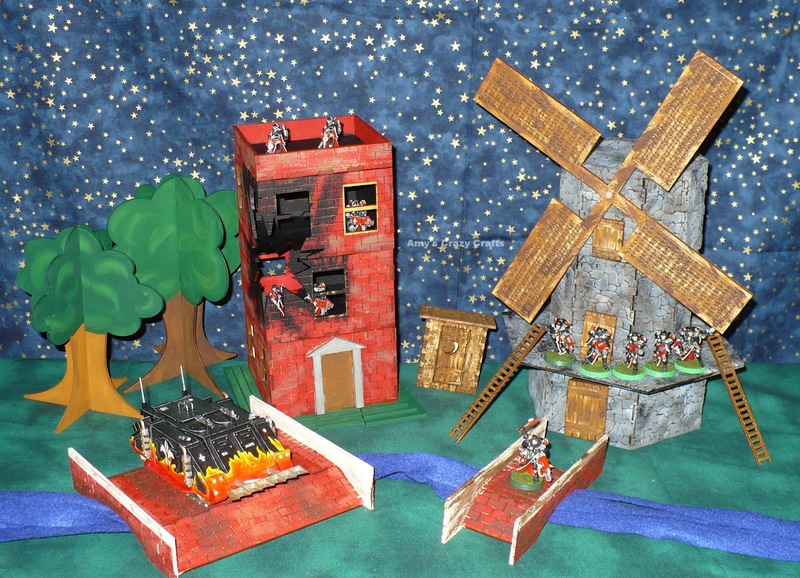 I loved making doll furniture and houses so when my 40k loving husband and his friends (aka the guys) suggested war game terrain my creative juices would not stop! My first design was of the 1940s three story brick apartment building shown below, they had been talking about having a war in the city. 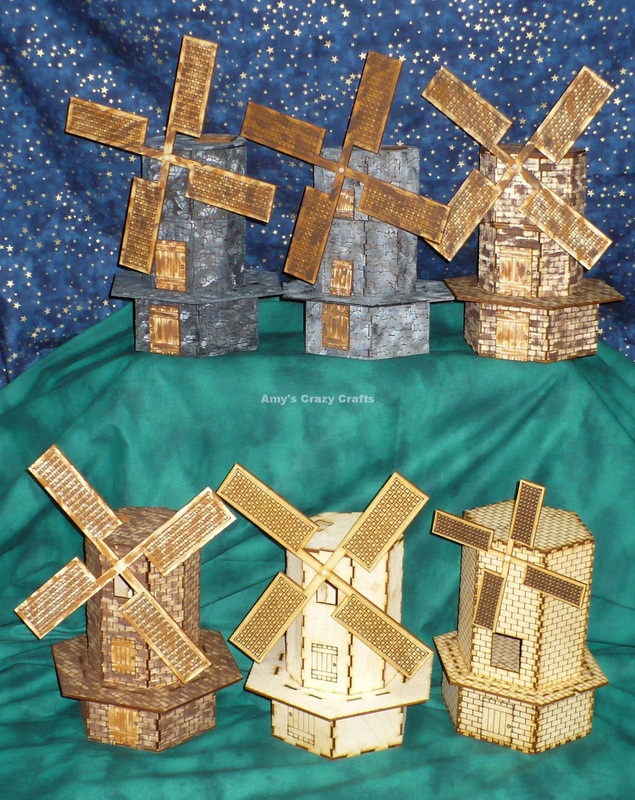 The guys also wanted a windmill they could climb up and fight in so after six designs I made one they liked both in texture and physical design. One of the guys does not like "perfect" stones and bricks so I have designed textures that are not perfect. 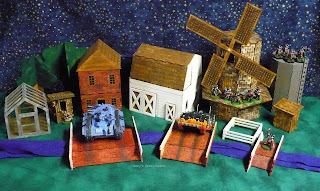 The farm set is great for war game and RPG terrain. 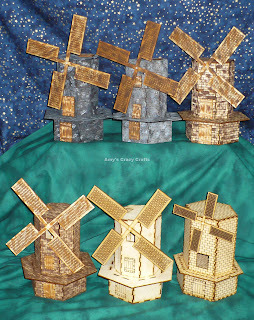 I love how the barn, house and windmill come apart to put minis in! The outhouse has been the guys favorite piece. The guys keep joking about both commanders have to GO! Last army holding the outhouse wins! I am currently working on pieces to add to the farm house for RPG games. The trick is to make them small enough to feel "real" but big enough my laser can cut it. I can just image a Call of Cthulhu (or other adventure clue based game) using this set with furniture and other "sprue" like items to use for the game.